“We have been humbled by the tremendous response Fathom has received from travellers eager to experience Fathom while helping the Dominican Republic to flourish and making history through human connections and immersive experiences in Cuba,” says Tara Russell, president of Fathom and global impact lead for Carnival Corporation. According to Russell, Fathom also appeals to travellers as a meaningful way to experience personal growth while making purposeful and engaging contributions to the world, starting in the Dominican Republic. “There is genuine excitement about Fathom’s ability to empower travellers to serve and immerse alongside locals in the Dominican Republic to create scalable and sustainable, transformative impact that will play an important role in helping the Caribbean region flourish,” she said. 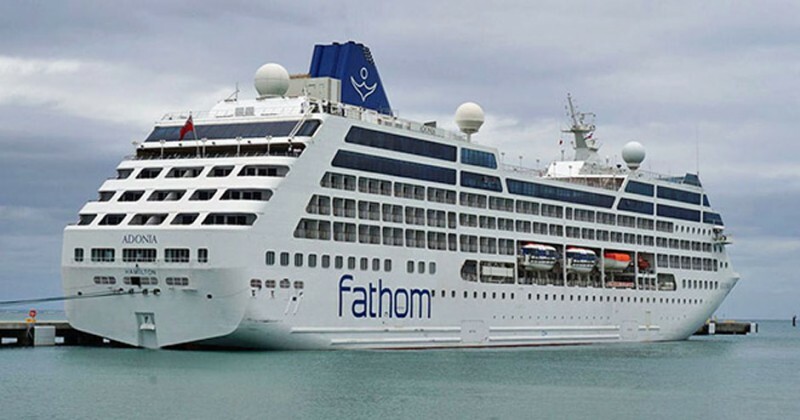 Fathom will depart on weekly seven-day voyages from Miami aboard the 704-passenger Adonia – redeployed from from P&O Cruises in the UK. Dates for seven-day voyages departing on Sundays roundtrip from Miami during 2017 include the dates below. Fathom’s reservations systems will be ready to take 2017 bookings by June 1, 2016. “The decision to add 2017 Fathom sailing dates underscores our enthusiasm for Fathom and our experience to date with the impact it is having,” said Arnold Donald, CEO of Carnival Corporation. “The feedback from travellers, travel professionals, community leaders and our own employees has been extremely positive. Fares for seven-day cruises to the Dominican Republic start at $974 per person. The rates for seven-day cruises to Cuba begin at $1,899. Dominican Republic: Jan. 1, Jan. 15, Jan. 29, Feb. 12, Feb. 26, March 12, March 26, April 9, April 23, May 7, May 21, June 4, June 18, July 2, July 16, July 30, Aug. 13, Aug. 27, Sept. 10, Sept. 24, Oct. 8, Oct. 22, Nov. 5, Nov. 19, Dec. 3, Dec. 17, Dec. 31.